Although it is illegal throughout the world, ecstasy has been available and popular as a recreational drug for a long time. It has been manufactured mainly in Europe, but it is increasingly coming from Mexico, and the number of emergency room arrivals because of this drug has been on the rise. Also called MDMA, this drug is highly addictive and if you have been caught up in charges relating to this drug, you need the services of an experienced San Diego criminal defense lawyer. With years of experience representing clients in serious drug crime charges and other cases, we at The Law Offices of Top Criminal Defense Law Firms, APLC, have built a reputation for helping clients achieve success with their cases. While no guarantee can be made on what may be done for your circumstances, your best chance to achieve a reduction of charges, mitigation or other favorable outcome can only be achieved with a committed attorney on your side. Drug crimes are no light matter in California. Your life could forever be altered just by being charged with drug crimes, let alone the heavy fines and years of your life which may be taken if you are sent to prison on conviction. Other penalties and consequences can include mandatory drug treatment, probation and even restitution. Severity of penalties can be great based on things such as prior convictions, how much ecstasy or other illicit drug was involved, whether weapons were present, or if a child was involved. Having to live with a criminal record is also a result of conviction. This can cause your life and livelihood to be much more difficult, making it hard to obtain a job, get loans for higher education or a car, or even in getting housing. You need a trained and experienced attorney to help you prepare a strong defense and fight for your rights. 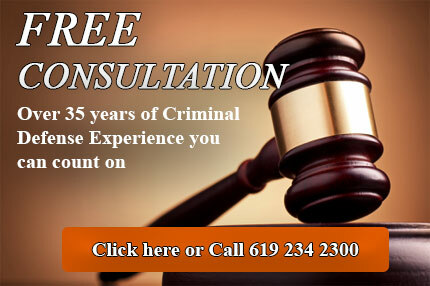 Contact a San Diego criminal defense attorney immediately if you are facing ecstasy related criminal charges.